The first hundreds of what could be more than 12,000 federal crack offenders to win retroactive sentence reductions began walking out of federal prisons Tuesday, but there is much more work to do. That federal offensive against medical marijuana distribution in California is rubbing a lot of people the wrong way, including a growing number of elected officials. Fewer drug arrests mean more violent crime, right? Wrong, at least in San Francisco. 6. Chicago to Decriminalize Marijuana Possession? A proposal to decriminalize the possession of up to 10 grams of pot is headed before the Chicago city council next week. An investigation into a dope-slinging Brooklyn cop has opened a window on a wider culture of corruption in the NYPD, plus your typical handful of corrupt cop cases. A trucker carrying a load of weed north through Texas apparently shot himself rather than face arrest after being pulled over with more than 600 pounds. 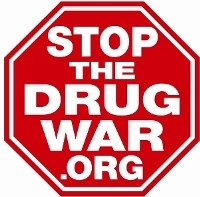 That's drug war fatality number 42 for the year.